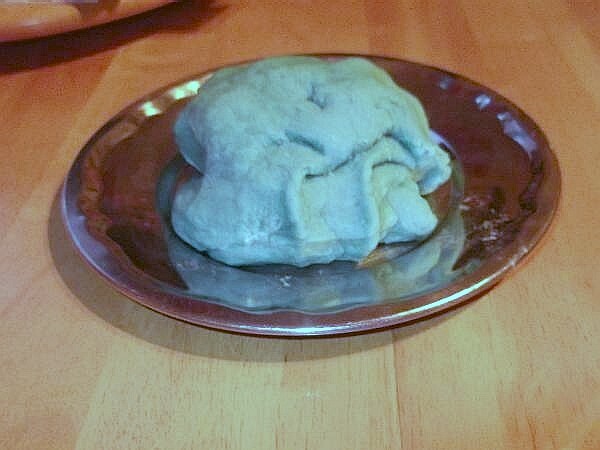 This is the best salt dough recipe for kids to play with I have ever come across because it is smooth, shiny, malleable and very long lasting. In fact, we played with this dough for over a year, always putting it back in a sealed container in the fridge, and it was still good. There was no mold or smell from it. The salt had preserved it well. Now it`s time to make a new lump for preschool craft ideas. 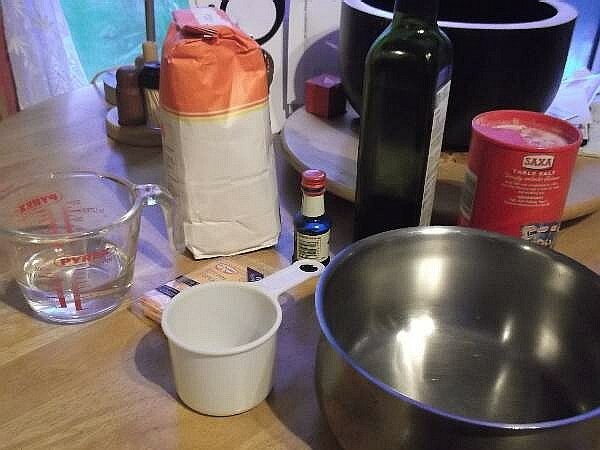 Ingredients will we need before we begin. 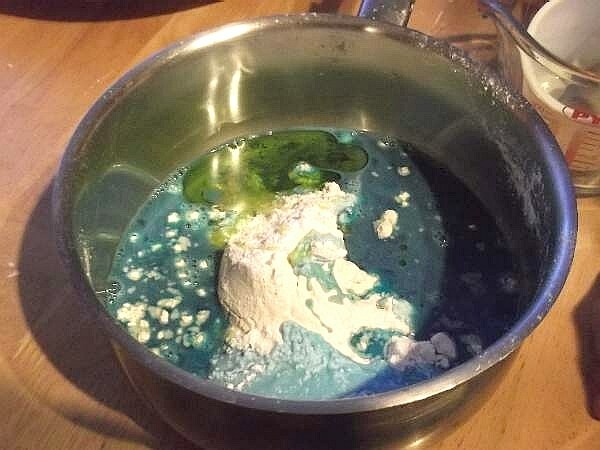 Food coloring and essence or aromatherapy oil are optional with latter being added after cooking. Prepare and cook the salt dough recipe ingredients along with the children in a safe environment. Make sure kids are away from any open stove. They can observe from sitting around a table with a clear view of what you are doing with another adult supervising them. 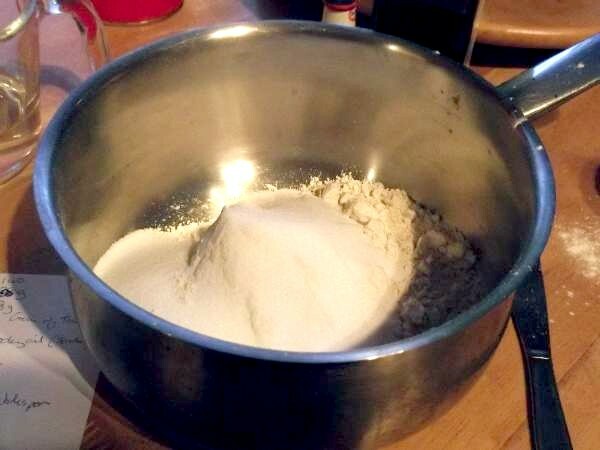 If you are preparing this salt dough recipe with a class, ask each child beforehand to provide their own small plastic container with a lid from home clearly labelled with their name. Decide which colors you want and what quantities you will need. You can use the quantity above for a gauge. This will give you an idea of how much you need to make depending on how many children you are catering for. The amount above is average for 4 children. Divide the ingredients into 4 lots if you want 4 colors. For a class with 8 or more children, divide them into 2 or more groups with each group making a particular color. After the dough is cooked, all the colors can be apportioned to each child. There are a variety of food colorings that you can use with this salt dough recipe, and it`s fun to mix them and get new interesting colors. This you can do at the table so the children can participate. Add a few drops of food essence or aromatherapy oils too for a nice fragrance. Let the kids choose by smelling each bottle. Iain chose lavender oil which is great because he is very hyper most of the time! 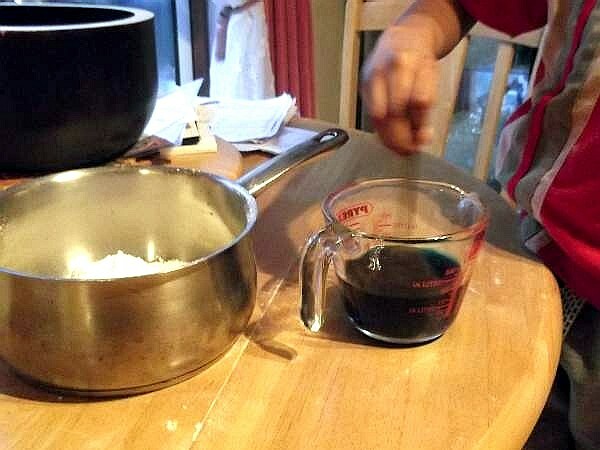 At the table, add the flour, salt, and cream of tartar to a saucepan and blend them together. Next, mix in the colored water. Adding it beforehand will give the dough a nice even color throughout. Now pour the water and the cooking oil into the saucepan, take it into the kitchen area alone or along with only older responsible children. Place on a low heat, and stirring continuously, cook your ingredients for 3 to 5 minutes. Once it has cooled but is still warm you can return it in the container to the table and let all the children feel a piece of warm dough. They will love this part as it has a very nice feel and texture to it. Now it`s play time! Supply cookie cutters, spoons, rulers for cutting, rolling pins or small empty plastic bottles or tubs to roll it. They can also get a lot of fun from using sponge shapes, coins, or other objects to make impressions in the dough. Clean up time! The children can place their own models and dough into their plastic containers to keep refrigerated at home. Do you like modelling crafts? Clay It Now has clay crafting projects for kids to keep any budding enthusiast happy.